The "jack" part means that on this type of loom the harnesses are lifted or pushed upward when the foot peddles, (or treadles, as they are more accurately known as) are stepped on. 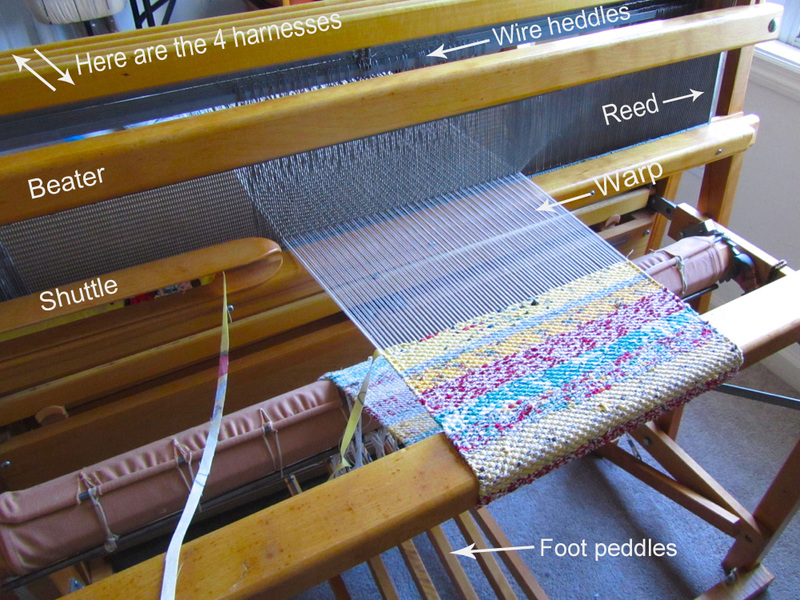 The 4-harness part refers to how many harnesses or shafts there are on the loom. Each harness is filled with wire heddles. When you warp the loom you place the warp threads through the slots in the reed, and then through the holes in the middle of the heddles. 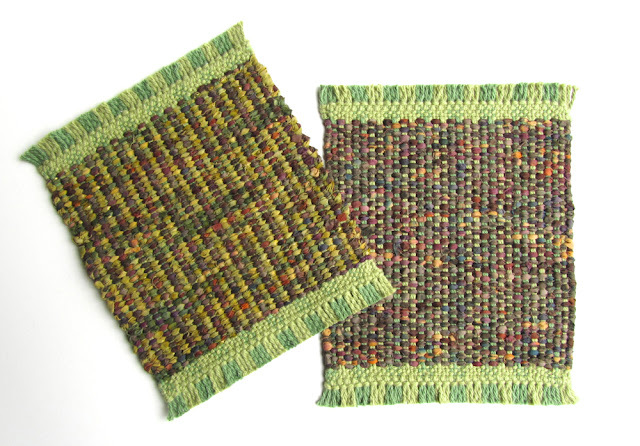 The design of your weave pattern is based on what thread goes through which heddle, on which harness, and which foot peddle/treadle that harness is tied to, and in what order you treadle those foot peddles! For example, if you wanted to weave a simple plain weave, (over one, under one...) on a 4-harness loom, you would thread your warp threads through the slots in the reed, and then you would thread the first warp thread through a heddle on harness #1, your second thread through a heddle on harness #2, your third through a heddle on harness #3 and your fourth thread through a heddle on harness #4. Then you would repeat the process... 1,2,3,4,1,2,3,4, and so on and so forth. You would tie harnesses #1 to the first foot peddle, harness #2 to the second peddle, #3 to the third peddle and #4 to the fourth. Then when you were ready to weave you would step on peddles one and three which would lift harnesses #1 and #3, creating an opening or "shed" that you would pass your shuttle through, (the shuttle holds the weft which is the thread, yarn, or in this case cut up fabric that you weave with). 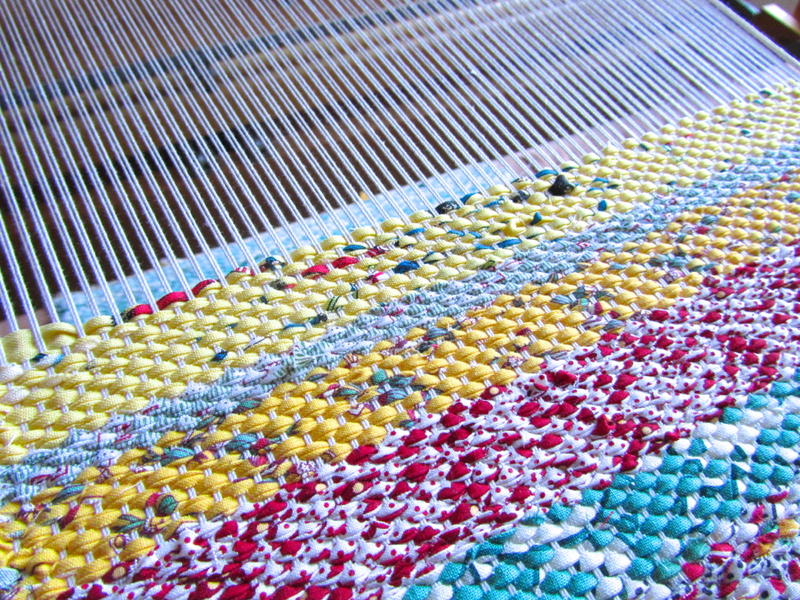 After each pass of the shuttle, you beat the weft in place with the beater and the reed. Next you would step on peddles two and four, thus lifting harnesses # 2 and #4, throw your shuttle, and beat the warp into place. Repeat that above process over and over and you get cloth! 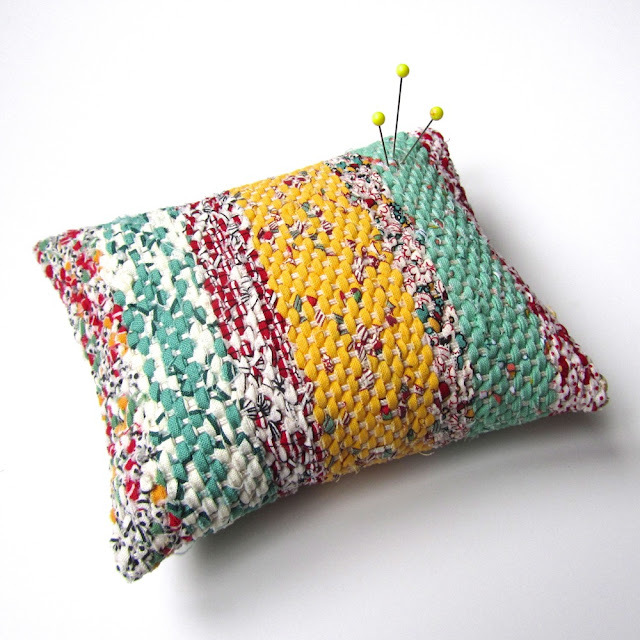 And then you can keep the cloth whole, or cut it up and make things, like this pincushion... of which I had hoped to make a whole bunch of before Christmas, but so far this is it. Better one then none, right?! 16 years ago I put my floor loom into basement storage because with a new, but smaller house, and two small children, I no longer had room for it. There was a positive side to that as it really threw open the door for me to learn to quilt... but the down side was I missed my loom. Well, after all these years I have finally decided it was high time to bring her out of storage. We still really don't have the room, at least not the ideal room, but what does that matter? I am tired of waiting for that perfect space. 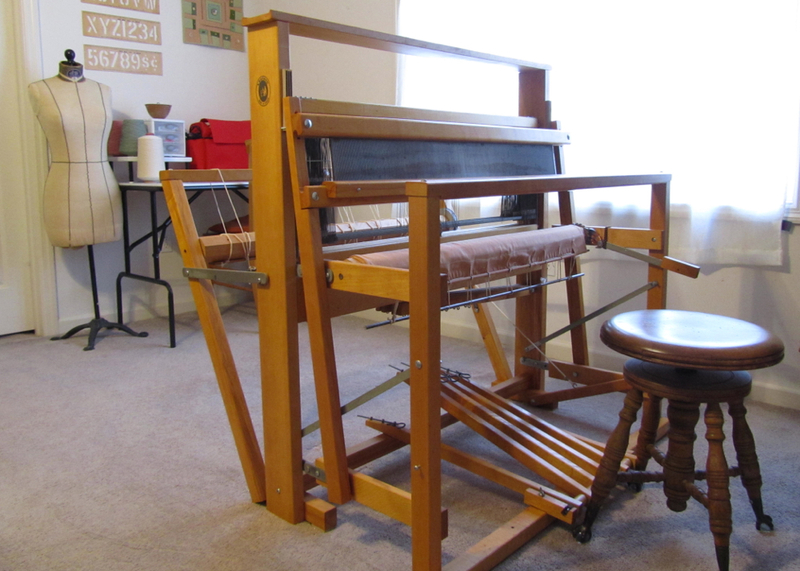 So, as of now, a hunk of our bedroom has become home to my loom. She sits there pretty but awkward, taking up more space then seems aesthetically available. But what better way to use space then to fill it with something you love? 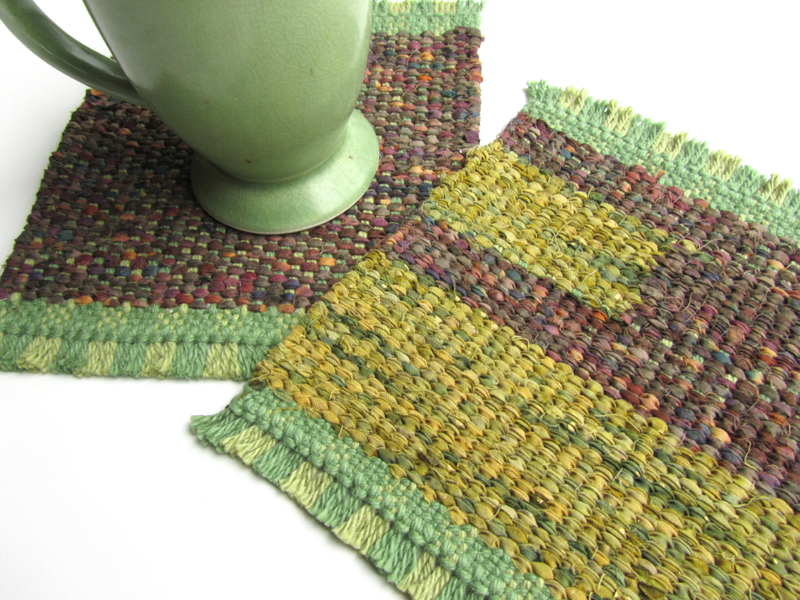 And I have always loved my loom. 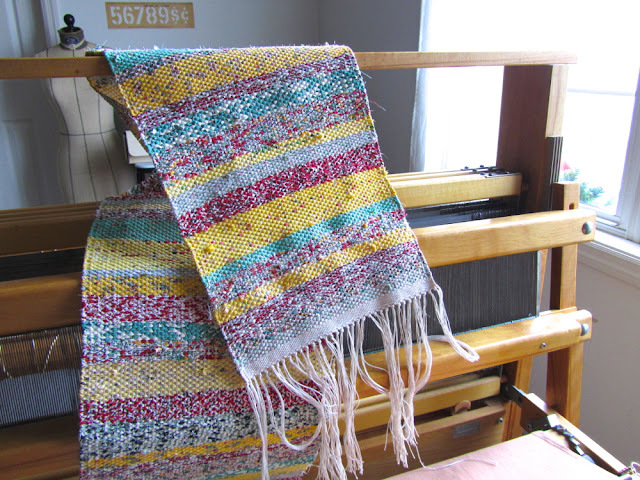 The first thing I had to do was give the loom a good cleaning. Then I had to remember how to put on a warp. Turns out it was pretty much like riding a bicycle. After a moment's hesitation and some head scratching, I was surprised at how quickly it came back to me. Next I needed to pick a project, and these mug rug coasters seemed the perfect fit. 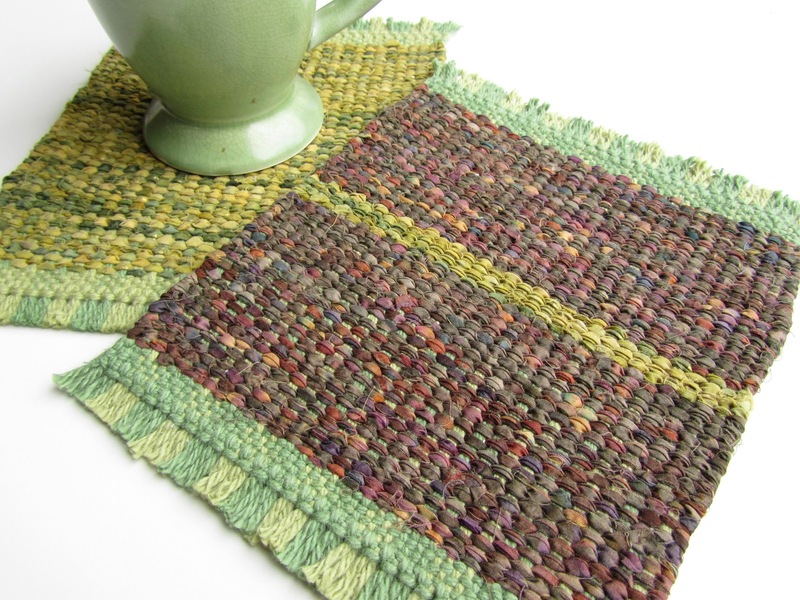 Quick to weave and fun to make. Best of all they allowed me to use up some of my batik stash that I acquired in my beginning quilting days! 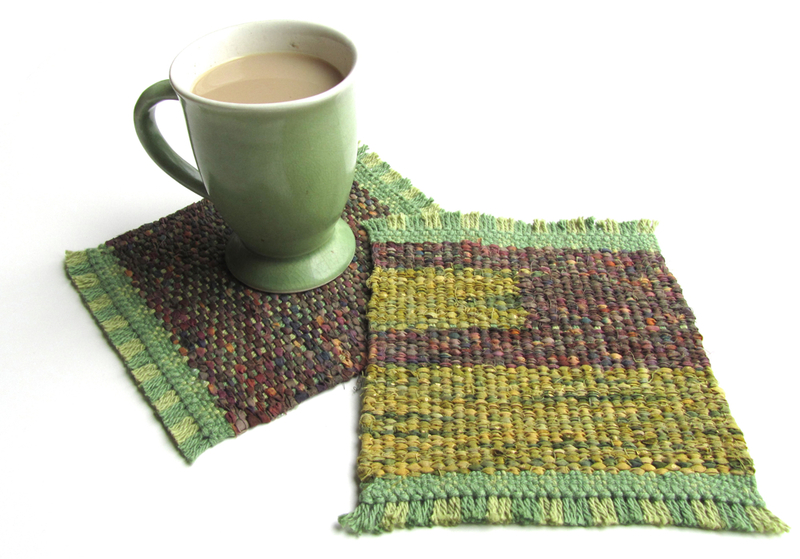 I adore how they add a bit of extra cozy comfort and warmth to a morning cup of coffee. And speaking of quilting... 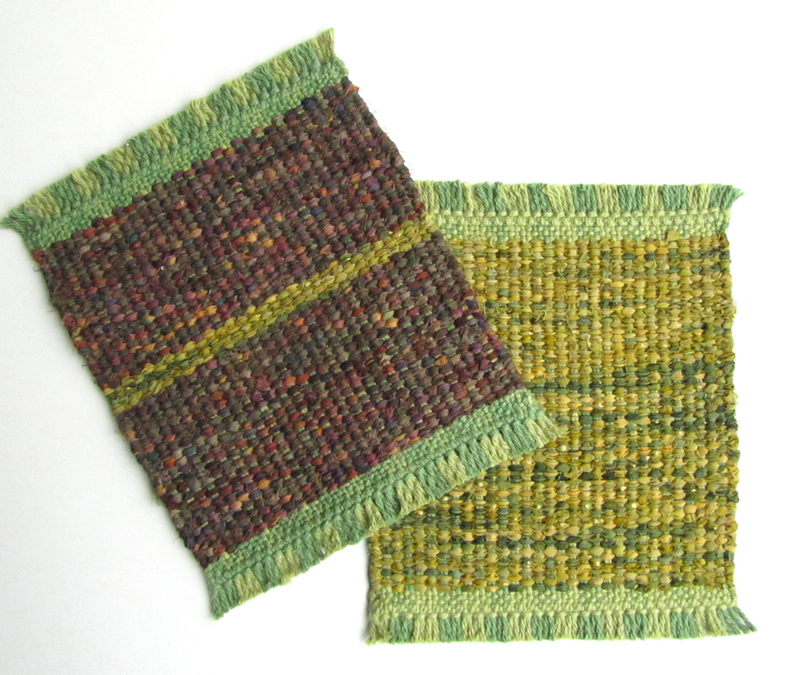 I know that most of my blog readers are quilters, and I hope that you will be so kind as to indulge me for a bit as I rekindle this old spark with weaving. I am really rusty right now, so baby steps and simple projects are in order to relearn what I have semi-forgotten. 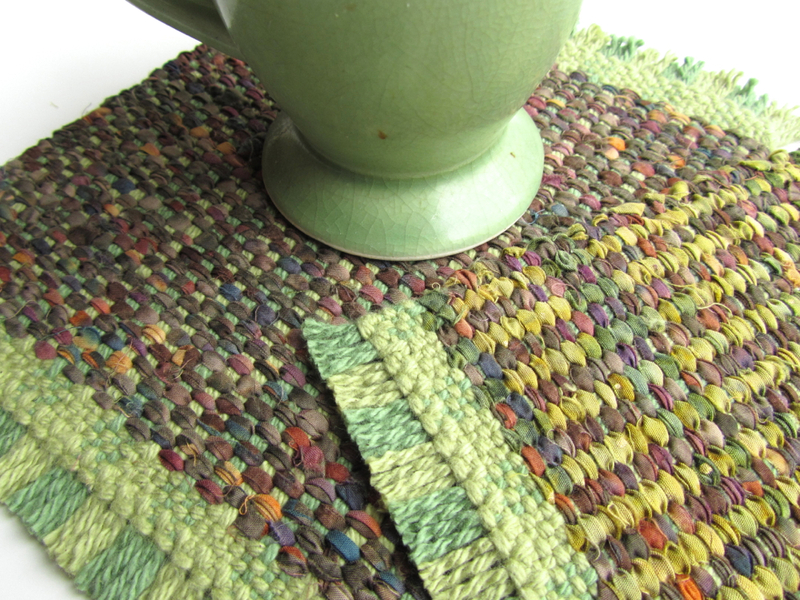 I'm curious to see how my quilting experience and esthetic eventually translates in the weaving. I hope that whatever comes from it will be of interest to you as well as me. Enjoy your week everyone!